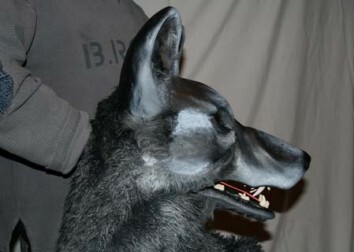 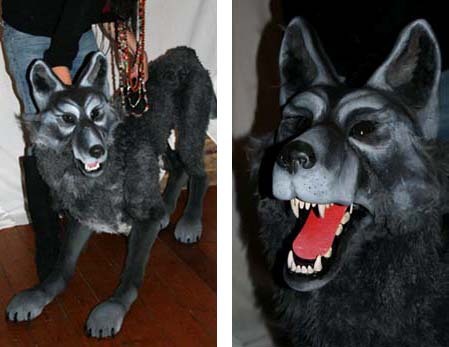 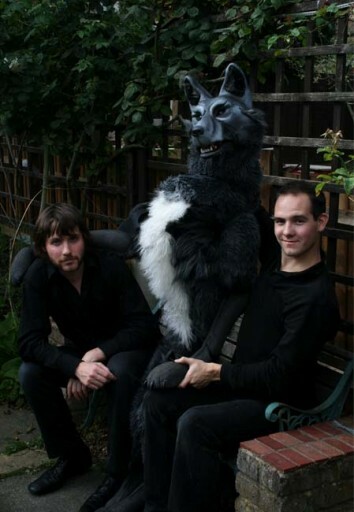 Pacino the Wolf was commissioned by Jay Green of Oakham school for the Running Torch theatre company. 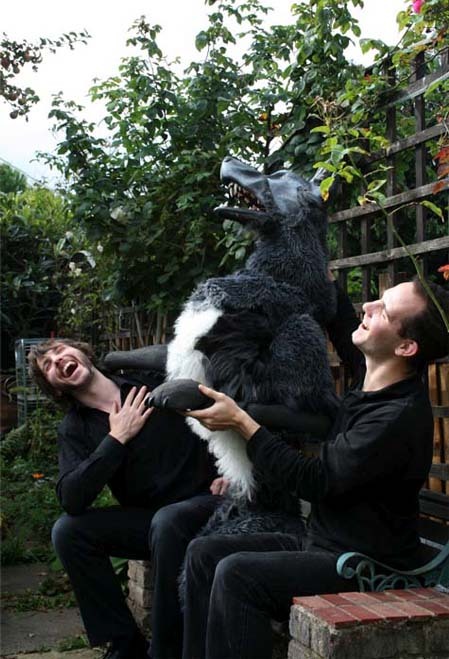 He was a central character in Running Torch’s ‘Wolves’, performed at 2009’s Edinburgh Fringe Festival. Pacino is a bunraku style puppet with an aluminium and ply wood frame, sculpted in plastazote. Seen here puppeteered by Ben Thompson, Mikey Brett and Iestyn Evans, interacting with James Turpin. 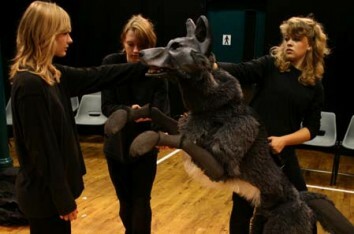 Pacino in rehearsals for Running Torch Theatre company's 'Wolves' in Edinburgh.